Shaviro, S. (2015). 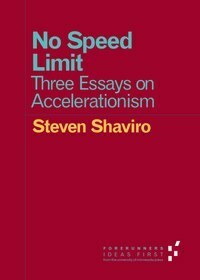 No Speed Limit: Three Essays on Accelerationism. University Of Minnesota Press. University Of Minnesota Press, 2015. 60 pages.